Sound comes in all shapes and sizes. If the sound from the speakers in your TV isn't good enough, the simplest option is to get a soundbar. Soundbars also come in different shapes and sizes. As the saying goes, you get what you pay for. Cheap is usually just that...cheap. But if you are looking for a good quality soundbar, the Onkyo LS-B50 EnvisionCinema Soundbar System could be for you. The Onkyo LS-B50 EnvisionCinema Soundbar System came in a good looking yet odd looking box. It was a fairly plain looking white box with printed pictures and features of the system. I say it was odd looking due to the shape. Rather than being square or rectangular, it was in the shape of the product. It just wasn't expected, but it worked. Opening the box revealed a well protected product protected in Styrofoam. Pulling out the components revealed the long narrow soundbar, and the detached subwoofer. The materials used in the construction is mostly plastic, which is ok. The quality was very good, as was the fit and finish. They had a good heft to them as well, which usually means a good build quality. They were put together well, and had an excellent look for the finished product, for both the speaker array of the soundbar and the detached subwoofer. The speaker array consisted of 6 front firing speakers (two tweeters and 4 midranges). At the very middle is the power LED, and remote sensor. Next to the power LED and sensor on each side is the ring tweeter. And on the other side of the tweeter are two midranges with a small port between them to improve midbass response. On each end was another speaker, for a total of 8 speakers in the soundbar. The subwoofer consists of a single down firing driver. I liked the gloss black trim on the soundbar that gave it a bit of an elegant look in it's styling. The subwoofer had the elegant glass black finish for the enclosure, matching the soundbar. The driver consisted of a paper cone. Fit and finish of it's components are also very good. I must say that I am impressed with the use of ring tweeters, which give a wide dispersion. The tweeters also have a diffuser in front of them to help smooth the frequency response in the highs. Also included was the owners manual, small remote control, and some cables. An IR extender was also included incase you plan on storing it in a cabinet...nice touch. Onkyo makes some nice sounding surround sound speaker systems. With those systems cost being less than the $699 MSRP for the LS-B50 sound bar system, I had high expectations. I am hoping to see there is a nice synergy of design and components. This system is designed for someone who wants better sound than the speakers built into the flatscreens, but without all of the wires that you find with full surround sound systems. The design is of a 3-way system, with separate tweeters and mids in the actual soundbar, and then the separate wireless subwoofer. I liked the fact that it had multiple digital as well as analog inputs. It also had a USB input as well. So not only does it handle the sound for you TV, it also does double duty as a music system for a portable device like your MP3 player, or play music you have stored on a flash drive. Now it is time to see if the truth is in the pudding. After hooking up the Onkyo LS-B50 in my bedroom to my flatscreen, it had found where it was meant to be. Gone was the thin, shallow, and lack of resolution sound that came out of my TV. I was quite impressed. The Onkyo provided crisp and clean highs, and smooth midrange. The great sound did not stop there. It was also wide and fairly deep, throwing a big wide soundstage. My bedroom was on the large size, and it was pleasantly filled with sound. The buttons on the top of the soundbar worked well, as did the very small remote control. You can change the volume, level of output on the subwoofer, inputs, as well as sound mode. One thing that I thought was missing was some type of display to tell you what sound mode you are in. I thought some form of display would be nice for that. However when I hooked up my flash drive I noticed that there are some LED's on the top of the soundbar next to the buttons. I just was not able to see them and tell which mode I was in without looking at the controls on top of the soundbar. The Bluetooth function worked. It was a little finicky getting it to connect to my laptop, but it did work, and sounded great. The Onkyo LS-B50 sounded great with TV and movies. But I thought it sounded even better with music. Resolution was very good, and vocals sounded natural with good timbre and texture. Piano also sounded very natural. Percussion was crisp and clean. The harmonics provided was impressive. Imaging was also very good, and just as with the TV and movies they threw a nice big soundstage. I could easily tell which songs were better transfers at higher resolutions, as the LS-B50 provided the finer details and resolution very well. Onkyo delivered a very musical product here. You will just have to make sure that if you use a flash drive, the music is not stored in a folder, as it would only play individual songs on your flash drive. I threw about 15 songs on an empty flash drive and stored them as individual mp3 files. I was able to play them and skip forward or backward from song to song. The wireless subwoofer also seemed to blend very nicely with the soundbar. The subwoofer was tuned very well. It played deep, but not more than it was meant to. And it's output filled the room as well, making my floor vibrate with it's power. Not only did it give good output and play with authority, it also provided good impact as well. It was fairly dynamic. At times it did get a tad muddy, but that was when you really pushed it. Just keep in mind it is just a single 6.5 inch driver. It played very well for it's size. Comparing it to my reference ZVOX 580 soundbar, the Onkyo LS-B50 provided a much wider soundstage, thanks to the two side firing drivers. I must say I was pleased with the Onkyo LS-B50 EnvisionCinema Soundbar System. Not only are they an attractive speaker system, they provided an excellent sound as well. As stated previously, Onkyo delivered a very musical product here. Kudos to Onkyo. And elegant design would fit in with any décor. At an MSRP of $699, they are not cheap. However the Onkyo LS-B50 EnvisionCinema Soundbar System is further evidence that you do tend to get what you pay for. If you are in the market for a premium soundbar, this Onkyo deserves to be on your short list. 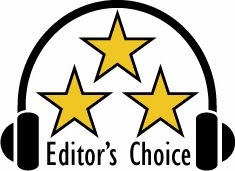 Based on it's design, features, quality and performance, the Onkyo LS-B50 has earned our Editor's Choice Award. For more info and complete specs, check out their website at http://www.onkyousa.com/Products/model.php?m=LS-B50&class=EnvisionCinema&so.